SGLT2 Inhibitors: What's the story? What is an SGLT2 inhibitor? It's a novel way to lower blood sugars, lose weight and maybe live longer. SGLT2 inhibitors are a recent addition to the diabetes tool box of treatments currently available for type 2 diabetes. 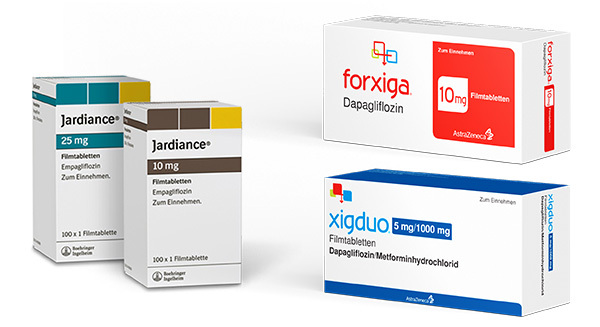 There are 3 types on the market at the moment with several more in development: Dapagliflozin (Invokana), Canagliflozin (Forxiga) and Empagliflozin (Jardiance). All are in tablet form and are taken in the morning, usually at breakfast time. Trials are still underway to further explore their effects but major studies undertaken to date have shown that apart from improving blood sugar levels (with an average HbA1C drop of 0.5-1.0%) they also reduce weight, lower blood pressure and improve kidney function. How do SGLT inhibitors work? SGLT2 is actually a protein which is found in the proximal tubules of the kidneys. Its role is to promote the reabsorption of glucose back into the bloodstream. SGLT2 inhibitors effectively block this from happening and the glucose is instead passed out of the body in urine. The total amount that is prevented from being reabsorbed is about 50% of the average total urinary glucose per day. The fact that it does not work on insulin supply like most other diabetes medications means that it also lowers blood sugar levels without hypoglycaemia (low blood sugars or ’hypos’). 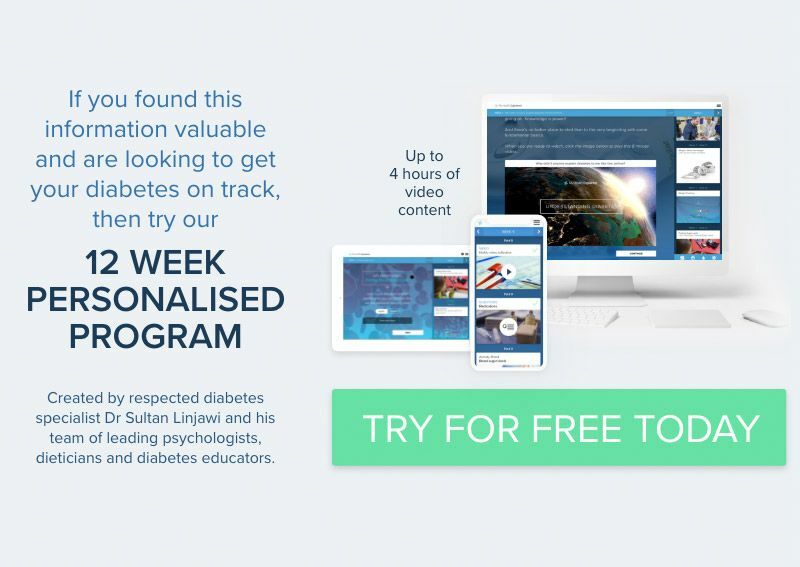 Our diabetes centre has been lucky enough to have been involved in a number of trials involving SGLT2 inhibitors in both type 1 and type 2 diabetes. We have seen big improvements in some of our patients with reductions in blood sugars and also weight loss and certainly see the value that they have in the treatment of diabetes control. All SGLT2 inhibitors have been associated with a decrease of 2-3kg in weight which is sustained over time when taking the medication. This is linked to a decrease in waist circumference as a result of not absorbing the calories from the sugar consumed in your diet. If you have weight to lose then this can be a real bonus especially when other medications such as insulin can cause some weight gain. Alternatively, if you are worried about weight loss it is important to talk to your doctor who can best advise you. The drug also reduces blood pressure in those patients who have high readings. It does this as it also excretes sodium from the bloodstream into the urine. If you are taking other medications for your blood pressure these may have to be reviewed as you may need to reduce the doses to avoid going too low. If you also have any problems with your liver, kidneys or heart that affect your circulation and blood volume this will be assessed by your medical team prior to starting on the medication. A major trial, the EMPA-REG Outcome study, Empagliflozin, Cardiovascular Outcomes, and Mortality in Type 2 Diabetes enrolled patients with type 2 diabetes who were also at high risk of cardiovascular events such as strokes or heart attacks to take Empagliflozin and monitor if there were any beneficial effects in this group. The results identified that there was a reduction of 38% in all heart related events and even death when compared to a placebo used in the trial. As the trial only looked at those who were already at high risk with heart failure the results of future trials will determine the benefits for all groups of people but looks promising. Another trial Canagliflozin and Cardiovascular and Renal Events in Type 2 Diabetes examined the use of another SGLT2, Canagliflozin. Again, they also recruited a large number of participants with type 2 diabetes (10,142) at high risk of cardiovascular disease. In this study, they found it significantly improved kidney function. Other trials identified that if a person already has some kidney damage then SGLT2 inhibitors may make it worse and this treatment is not recommended. Some medications such as diuretics which can increase dehydration when taken with SGLT2 therapy can also make things worse and must be taken into consideration prior to starting treatment. There was also a slight increase in the number of foot and toe amputations during the CANVAS trial than is usual so further studies are needed to assess if this is a problem and who is more at risk. This has not been seen in other trials using other types of SGLT2 inhibitors. The most common side effects associated with SGLT2’s are fungal and urine infections. As the urine is sweeter than usual those prone to infections are more likely to suffer as the warm, moist environment is a perfect breeding ground for bacteria. About 10-15% of women experience vulvovaginal candida (thrush) infections and men can also be affected. The way to avoid this is to ensure genital hygiene is maintained and that you are drinking enough water to dilute the urine. In our experience, it is those who have a history of infections prior to starting SGLT2 therapy that are most likely to develop symptoms. If you do develop an infection it is really important to tell your doctor as treatment is available. If it continues then the benefits of remaining on the medication will also have to be discussed as it may be unsuitable for you. Mild dehydration can be caused when taking this medication and as already discussed it is important to drink enough fluids (and that is not referring to alcohol or caffeine!) to prevent this from happening. If you are feeling dizzy it may be that your blood pressure is a bit low and this should be checked. In the CANVAS study, it was also noticed that those with a low bone mineral density and prone to fractures may not be suitable to take Canagliflozin as it appears it may reduce bone mass but more trials are needed to get a better understanding. As you are urinating more sugar to achieve lower blood sugar readings, if there is a problem in your body where you do not have enough insulin to get that sugar into the cells that is needed for energy, the body will start to use fat stores instead (ketosis). A side effect of this is that chemicals build up in the blood stream which are actually toxic and if left untreated can be life threatening. This is called diabetic ketoacidosis (DKA) and usually only affects those with type 1 diabetes and is rare in type 2. Symptoms that may indicate that this is happening are nausea, vomiting, abdominal pain and feeling generally unwell. Normally your blood sugar levels would be high and you would therefore know the cause but when taking SGLT2’s this warning is effectively masked as the kidneys continue to regulate sugar levels in the urine. Blood glucose levels are therefore near normal and yet the cells still are not getting the sugar they need as not enough insulin and fat breakdown is occurring. Treatment is needed URGENTLY and is centered around stopping fat breakdown and switching the body back into using sugar for energy. This is achieved by giving extra insulin, carbohydrates to stop low blood sugars from the insulin injections and fluids to flush the ketones produced from fat breakdown out of the body. Hospital admission may be needed if vomiting, feeling very unwell or if levels are too high. A blood glucose meter which also records ketone levels is a useful thing (and very easy) to have at home (and something we teach all our patients on this medication) to be able to work out and monitor for potential problems. Your diabetes team will be able to give you education regarding this. Would SGLT2 inhibitors be helpful for me? As with all medications there are pros and cons which need to be carefully considered by you and the doctor before starting an SGLT2. It is not considered to be useful when first diagnosed with diabetes when changes to diet, reductions in weight, increasing activity and taking metformin are the best things to do. However, if these are not working it may be an option for you. Your doctor may want to use an SGLT2 if insulin or other injectables are still not able to get blood sugars on track or you have more weight to lose. The type of SGLT2 must also be assessed prior to starting as Empagliflozin so far has been associated with heart-health benefits and Canagliflozin with kidney protection in those without damage. If you are on other medications that can cause dehydration such as diuretics these also need to be reviewed as can make dehydration worse.